a u t o p i a: Antarcticans + Ninja Academy: Live at Silverlake Lounge, 1/17/06. Antarcticans + Ninja Academy: Live at Silverlake Lounge, 1/17/06. Jesus. 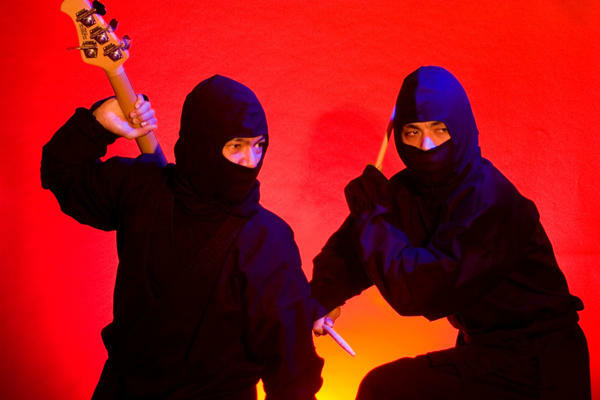 Startled by the sheer volume and bass intensity, I was jolted into submission within a matter of seconds by the drum and bass noise duo Ninja Academy. 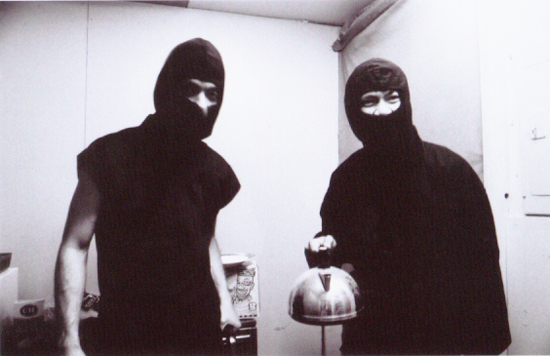 The first and only relevant way to describe their music is a cross between Tortoise-like musicianship and Death From Above 1979's massive bass riffs, Only Ninja Academy has clearly been studying and mapping out their own sound for years because it sounds much smarter. They have about 20+ gigs already lined up in the next few months. Witness the fury for yourself. Antarcticans don't need an introduction. I've seen them before and I'm running out of adjectives. How about Polvo + My Bloody Valentine + Sonic Youth? Makes sense to me. If I were in a band I can't think of a trio of more impressive artists to represent myself. Antarcticans go from blissed-out noise-pop strutures to ambient-like harmonics in the blink of an eye. They are noise-crafters riding a fine line between art and pop. My only complaint is that they need to play longer. Ash Bowie would be proud.